The 16, 16A, 17 and 75 bus routes all pass within a few minutes’ walk of Rathfarnham Meeting House. 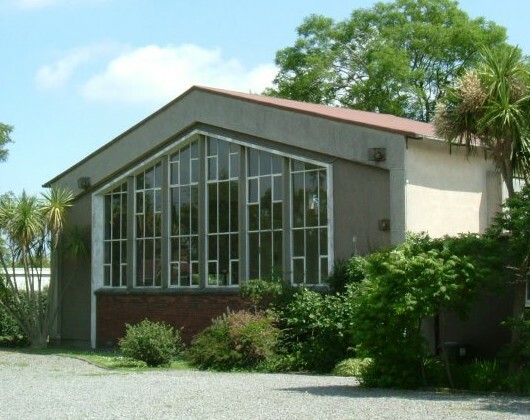 Rathfarnham Meeting is located in a quiet residential area near Rathfarnham village and castle. The meeting room’s large south-facing windows overlook a spacious lawn bordered by trees. The adjacent badminton hall is used for various Quaker activities and is let out to local social, sporting and community groups. There is ample car parking. Meeting for Worship takes place every Sunday at 10.30am. Visitors are always welcome. Junior Meeting (which caters for ages three to early teens) is offered on the second Sunday of each month. It also starts at 10.30, with the children joining the adults at 11.20 for the last 10 minutes of meeting for worship. The wide-ranging topics covered in Junior Meeting include those of a Biblical and Quaker nature as well as various social and environmental issues. Children are welcome other Sundays in the month too when their parent(s) are asked to stay with them and are welcome to use the books, games and many resources in the Junior Meeting cupboard. The children of Rathfarnham (and their parents) usually attend Churchtown Meeting on the third Sunday of each month (Churchtown Meeting starts at 11am). Rathfarnham Meeting celebrated its 50th anniversary in January 2007 with a special meeting for worship. The children interviewed seven of the original members of the Meeting and they have compiled the interviews into a scrapbook. The meeting house was built on land given to Friends by Lamb Brothers, Quaker jam manufacturers. It formed part of the site of the Lambs’ fruit farm, which was sold in the 1950s for housing development. Rathfarnham Meeting is part of Dublin Monthly Meeting. The Meeting maintains a library for the use of its Members and regular Attenders.